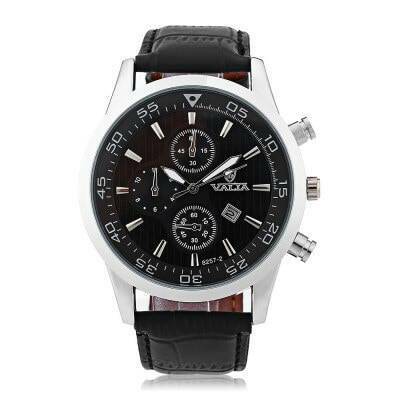 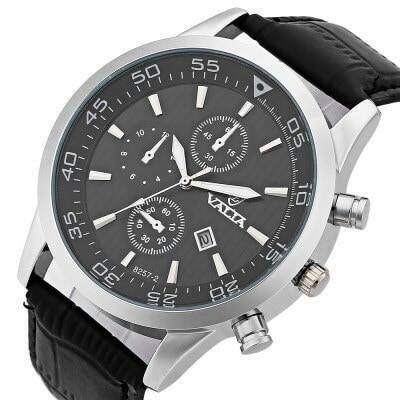 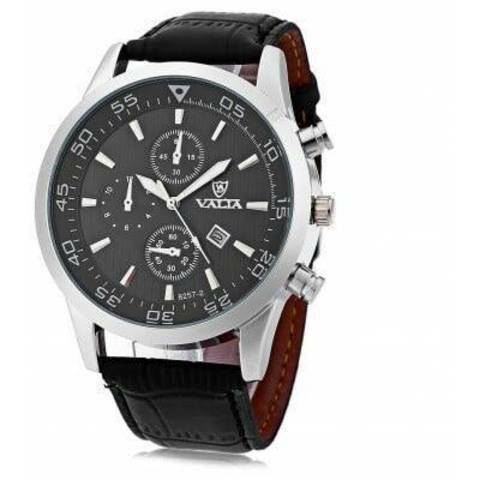 • Trendy round case quartz wrist watch, designed specifically for business men. • Quartz movement guarantees precise and punctual time. 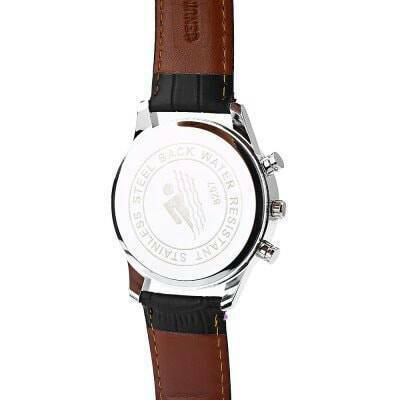 • Stainless steel case is sturdy in structure and uneasy to scrape. 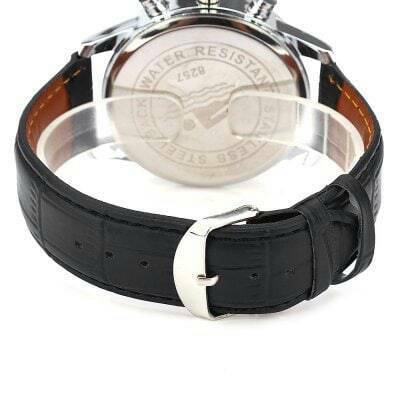 • Leather band is comfortable to wear. 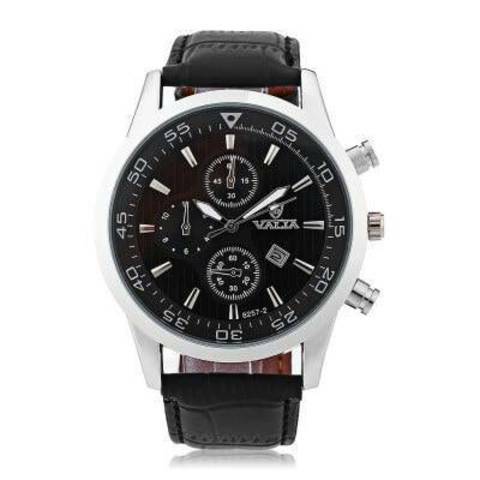 • Help you to always be on time. 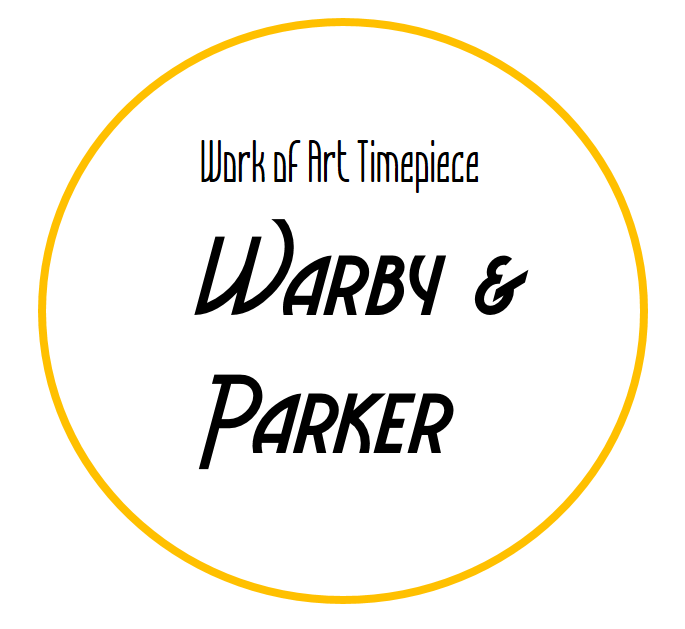 • Good time-reminder and ornament.